Cornwall has a superb coastline, full of photographic potential. 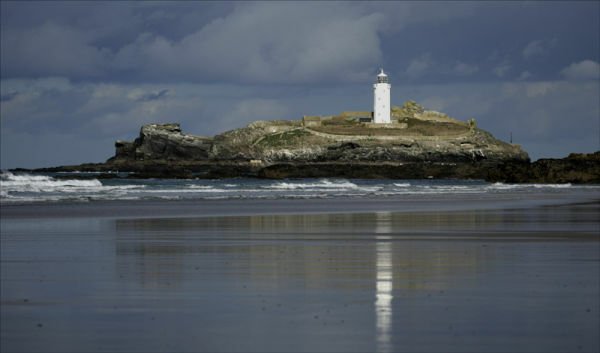 Here at Godrevy a highly photogenic lighthouse to ! Wet sand, stormy light a perfect combination.